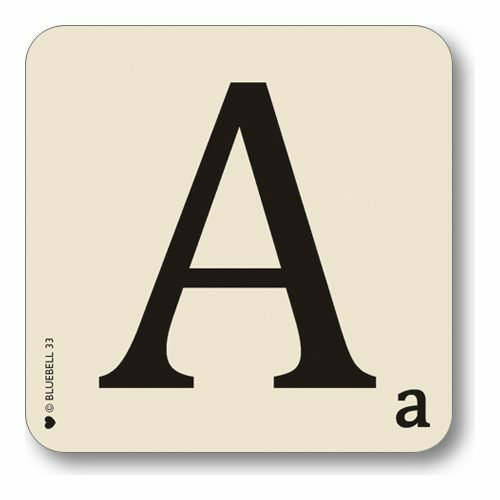 Letter A Scrabble Alphabet Coaster. This retro style coaster is designed based on the iconic Scrabble board game letter blocks. Personalise your food and drink arrangements on a dinner table, or put a few together to spell names and words that mean something to you and yours. Great personalised gift idea whatever the occasion! 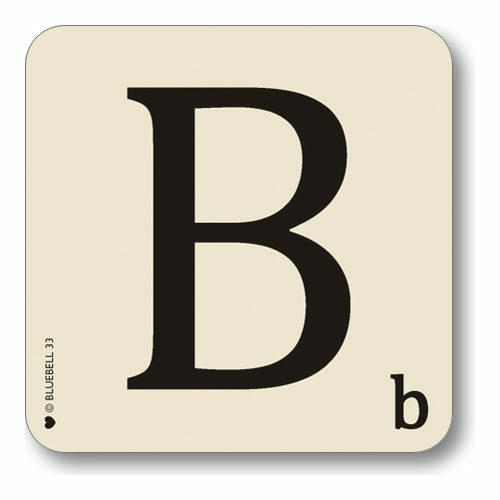 Letter B Scrabble Alphabet Coaster. This retro style drinks coaster is designed based on the iconic Scrabble board game letter blocks. Personalise your food and drink arrangements on a dinner table, or put a few together to spell names and words that mean something to you and yours. Great personalised gift idea whatever the occasion! 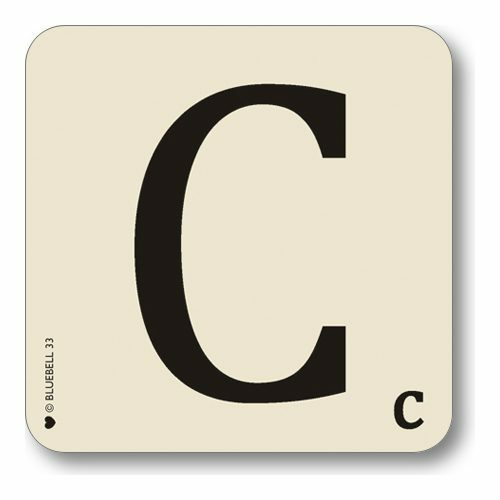 Letter C Scrabble Alphabet Coaster. This retro style coaster is designed based on the iconic Scrabble board game letter blocks. Personalise your food and drink arrangements on a dinner table, or put a few together to spell names and words that mean something to you and yours. Great personalised gift idea whatever the occasion! 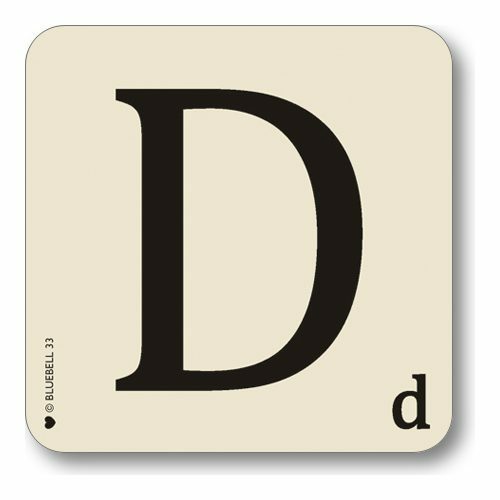 Letter D Scrabble Alphabet Coaster. This retro style coaster is designed based on the iconic Scrabble board game letter blocks. Personalise your food and drink arrangements on a dinner table, or put a few together to spell names and words that mean something to you and yours. Great personalised gift idea whatever the occasion! 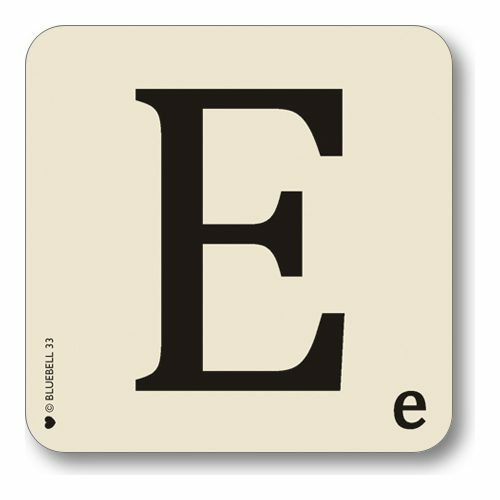 Letter E Scrabble Alphabet Coaster. This retro style coaster is designed based on the iconic Scrabble board game letter blocks. Personalise your food and drink arrangements on a dinner table, or put a few together to spell names and words that mean something to you and yours. Great personalised gift idea whatever the occasion! 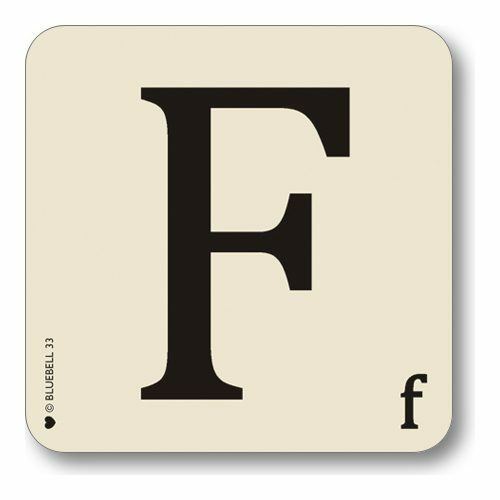 Letter F Scrabble Alphabet Coaster. This retro style coaster is designed based on the iconic Scrabble board game letter blocks. Personalise your food and drink arrangements on a dinner table, or put a few together to spell names and words that mean something to you and yours. Great personalised gift idea whatever the occasion! 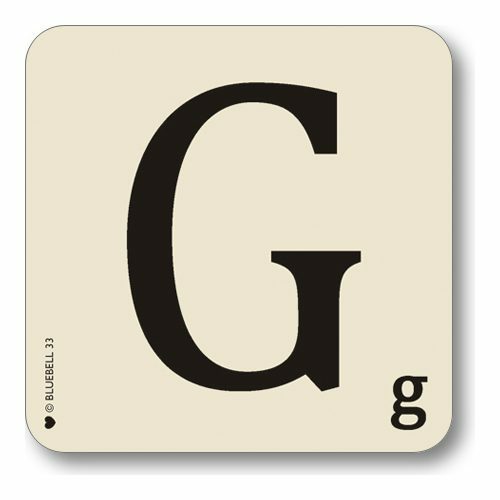 Letter G Scrabble Alphabet Coaster. This retro style coaster is designed based on the iconic Scrabble board game letter blocks. Personalise your food and drink arrangements on a dinner table, or put a few together to spell names and words that mean something to you and yours. Great personalised gift idea whatever the occasion! 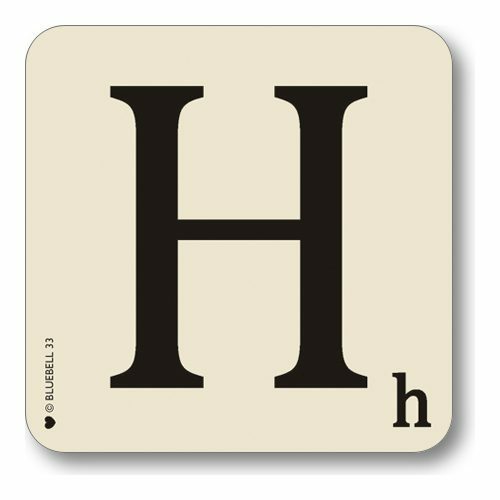 Letter H Scrabble Alphabet Coaster. This retro style coaster is designed based on the iconic Scrabble board game letter blocks. Personalise your food and drink arrangements on a dinner table, or put a few together to spell names and words that mean something to you and yours. Great personalised gift idea whatever the occasion! 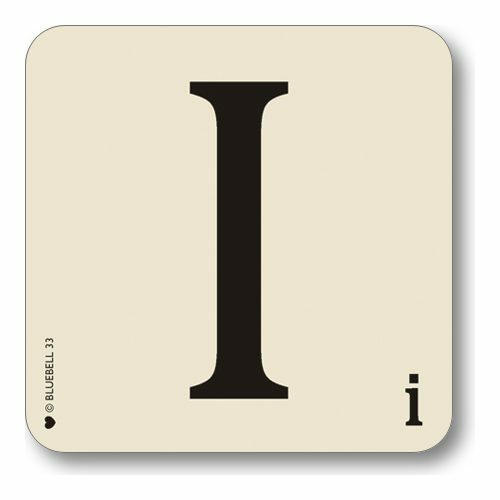 Letter I Scrabble Alphabet Coaster. This retro style coaster is designed based on the iconic Scrabble board game letter blocks. Personalise your food and drink arrangements on a dinner table, or put a few together to spell names and words that mean something to you and yours. Great personalised gift idea whatever the occasion! 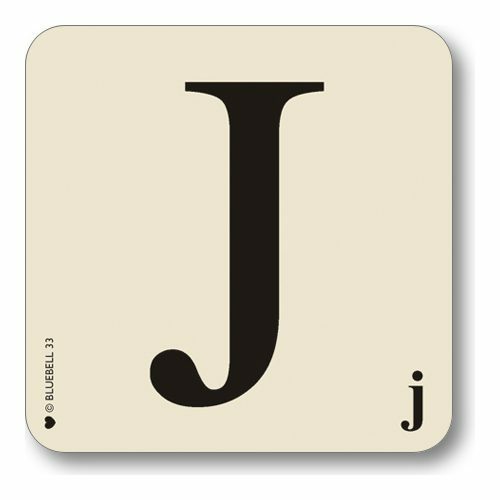 Letter J Scrabble Alphabet Coaster. This retro style coaster is designed based on the iconic Scrabble board game letter blocks. Personalise your food and drink arrangements on a dinner table, or put a few together to spell names and words that mean something to you and yours. Great personalised gift idea whatever the occasion! 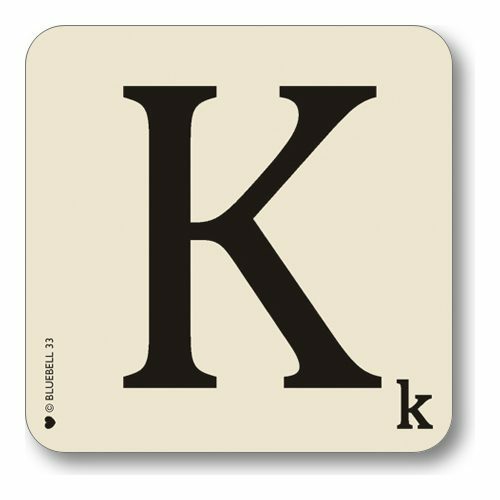 Letter K Scrabble Alphabet Coaster. This retro style coaster is designed based on the iconic Scrabble board game letter blocks. Personalise your food and drink arrangements on a dinner table, or put a few together to spell names and words that mean something to you and yours. Great personalised gift idea whatever the occasion! 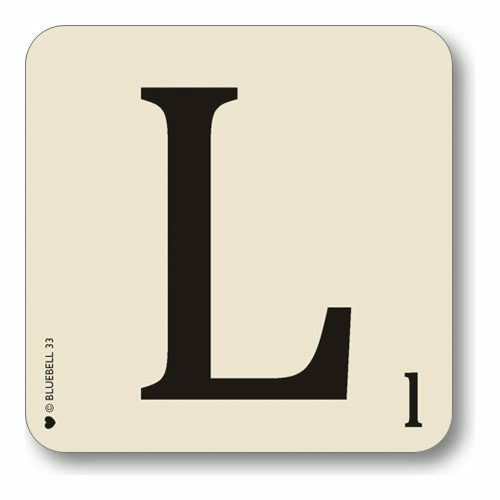 Letter L Scrabble Alphabet Coaster. This retro style coaster is designed based on the iconic Scrabble board game letter blocks. Personalise your food and drink arrangements on a dinner table, or put a few together to spell names and words that mean something to you and yours. Great personalised gift idea whatever the occasion!